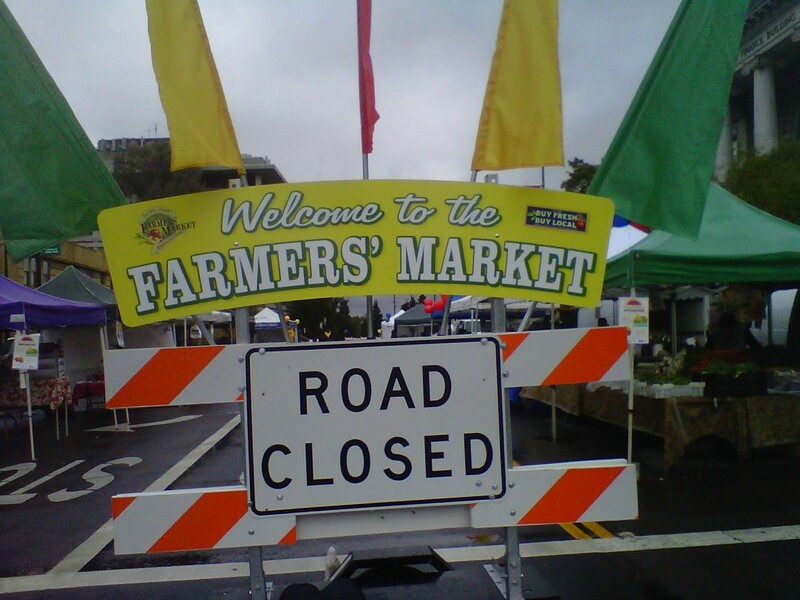 I was invited to participate in the Martinez Farmers Market today, the one by the courthouse. I used to do that Market all the time and it's always fun to remember the times when my youngest son used to do the Market there with me. It made for a very long day; we did that one in the morning and then finished off in Livermore. I know they were long days, but I look back fondly on those times. It was a shame that the weather didn't cooperate with us today, we had some pretty nasty wind and rain. The cool thing was my spot, it was awesome and I got to have my van with me, which is always very cool for me - score! They brought out the cool sign as seen in the picture, I thought it was very cool!